In addition to traditional finishes like wax and urethane, Schenck & Company is pleased to offer a line of wood floor finishes ideal for homeowners who are sensitive about their living environment, including those who suffer from allergies. WOCA oils, manufactured in Denmark, contain no Volatile Organic Compounds (VOCs) and no wax. 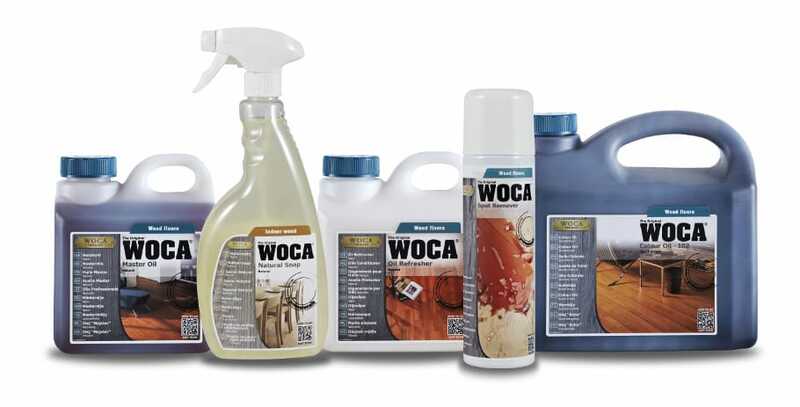 Created from vegetable oils and non-aromatic solvents, WOCA oils penetrate the surface of the wood and, as they cure, harden to form a protective surface that actually becomes a part of the floor. The finish is attractive and durable. In fact, small scratches and indentations are less noticeable than with a traditional finish, and spot treatment is easy. The key to sustaining the beauty of any wood floor is proper maintenance. With a WOCA finish, the process is simple. Schenck & Company can provide maintenance services using WOCA Natural Soap and the convenient Natural Soap Spray. Or we can supply you with the cleaning products. Watch our video here to see how to use WOCA soaps.